Zoe is Pet of the Week! You are here: Home / Pet Corner / Zoe is Pet of the Week! Double feature! Last week, we introduced Jazz, and this week, near-identical Zoe is in the spotlight. 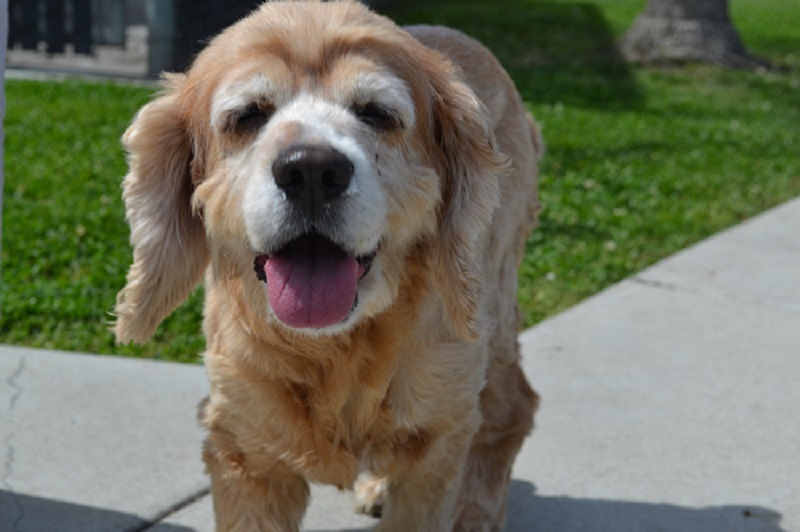 Both cocker spaniels were brought in to Animal Care Services by their owner despite their being 12 years old and accustomed to care for so many years. This is a sad situation for two sweet dogs. Luckily, they have each other—all they need is one loving forever home. Meet them at Animal Care Services on the shelter side of the P.D. Pitchford Animal Village, 7700 E. Spring St., Long Beach, (562) 570-PETS. Ask for ID#A567903 for Zoe and ID#A567904 for Jazz.